Day passed on Computicket R75. event in Kimberley in October 2015. August) to offer local skaters the opportunity to qualify for KDC Week. of the country to promote skateboarding as an accessible, affordable sport. Cape, Southern Cape and the West Coast. this programme has had on local communities,” mentions Mbazima. 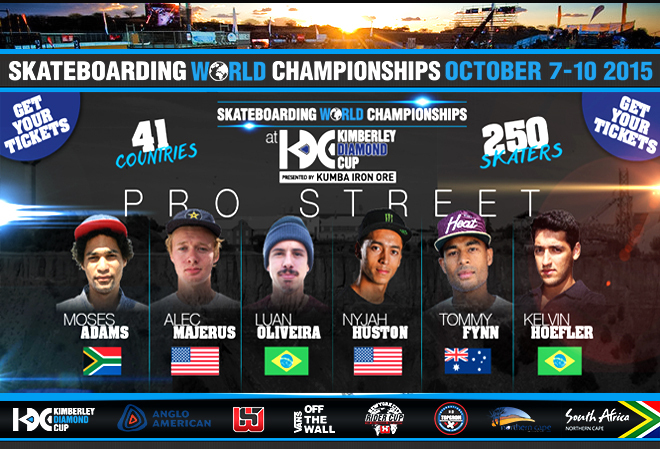 Skate Plaza in Kimberley to compete for the coveted world champion title.